(CBS/AP) WATERVILLE, Maine. - A search is underway in Waterville, Maine for a 20-month old toddler that has gone missing from her bedroom in her father's home, police say on 16 December 2011. CBS Boston reports police and firefighters have been investigating since Saturday morning when Justin DiPietro, the father of toddler Ayla Reynolds, called police to report his daughter was not in her bed and could not be located. The little girl's mother, Trista Reynolds, filed paperwork seeking sole custody of the toddler a day before the girl went missing. She said she wants answers from "the last man to see my daughter." Trista Reynolds told ABC's "Good Morning America" that she and Ayla's father did not get along, and that she hadn't told him she had filed the court paperwork on Thursday. "I've had no contact with him; he's had no contact with me. All I know is he's the last man to see my daughter, and all I want to know where she is," she said Monday. Ayla, who is blonde, blue-eyed, and 2-feet-9 inches tall, was last seen Friday night wearing green one-piece pajamas with polka dots and the words "Daddy's Princess" on them. She also had a soft cast on her left arm. Police spoke with Ayla's father, mother, and other family members about the disappearance and say all parties were cooperative. Police Chief Joseph Massey said all possibilities were being investigated, including abduction. "Everything is open. Everything is on the table," he said. "We need more than just us. We need the help of the general public," Massey said. "I suspect that somebody out there may know where the little girl is. ... We'd like to get her back home," he said. I have been catching up with all the cases on the blogger and there have been some new cases posted in recent days. One of these appears to be another little baby girl. 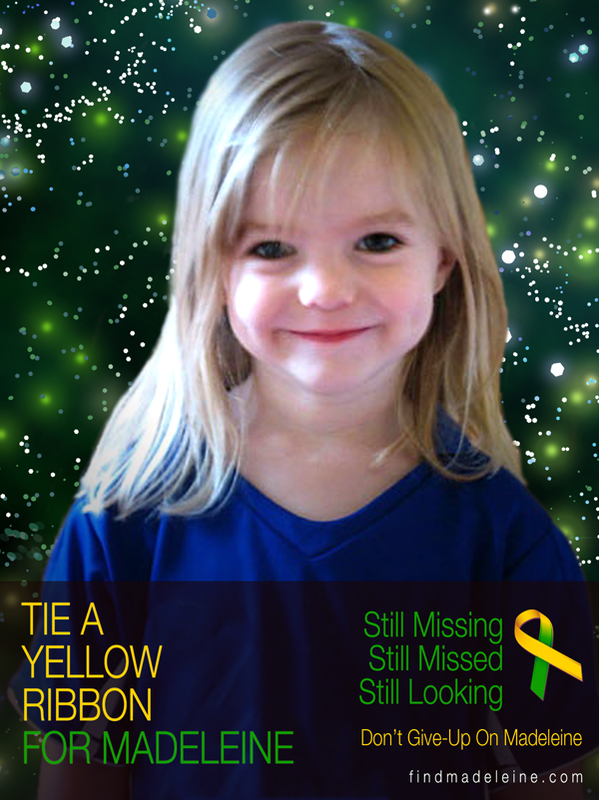 This little girl is called Ayla and she has been missing since December 16 this year (2011). Tarot can provide glimpses of what may have occurred, often in past present and future trend but Tarot is not considered 100 per cent accurate therefore please go to other sources for factual information. Well here we are again, another child 'gone' and I just shake my head at all this because it is just so sad, they are so small and so unprotected its really terrible. I am looking at Ayla as I draw my first card which is the hanged man and as a Neptune card water can be attached to the situation or severe emotional problems. I just look at that card and wonder if what I see here is an actuality or not. There is a four in the picture with the crossed legs and this relates directly to a father figure which means someone who acts in that capacity whether biological or otherwise. There may have been law trials or disagreements because Justice does sit before this card and indicates that there could have been conversations about divorce or separation or various situations that might affect this child. I seem to see the child alone at one point previous to her disappearance. The hanged man is going to show us illusions of some kind so that could suggest that what is thought to be the situation publically might in fact 'not be'. So are all the facts really known? The hanged man tends to indicate perhaps not? We are linking to the Emperor and the Mother figure card, the Empress so it is directly linking to parenthood about this time when the child disappeared. We also have a third person so it seems to me that there must be three people here around this child. On this card it seems to show that the child could have gone in a car somewhere. That is first impression impression only. Its possible towards the East and that the car is a four door and perhaps red. That may not be the case but it is possible. There may be a quarry nearby perhaps even a Church. However, it could simply represent religious indifferences and quarrels in apartment buildings or perhaps that may figure another way. I see there might show the name Michael in the cards also land and water and flowers. I also see some kind of disorientation which can come up with drugs and drink or it could simply mean that cook or cooking figures though I really do not know quite why. Perhaps kitchens figured on that day? or eating/restaurants or food? did this child choke on some food at some point? Not the greatest card for location but can represent Churches, cemetaries,tombs, health places,hospitals anywhere of that nature on this card or even names that reflect that in roads etc. The Number is 20 so maybe 2 or 20 might be a route or a clue of some kind. It is also next to the world card which is a travel card but also a very 'naturistic card' but she could be linked to Travel as in a vehicle too or one may have figured at some point. I feel that decisions on this card are based in the past, so it would not really indicate to me that she would be that far away. I say this because the past is involved, the past would take into consideration places she has been linked with ' in the past' which must be her own home or other places that she is connected to that are known. It makes me feel at some point someone wanted a fresh start for her , whatever the situation to find this girl is linked to the past. I hope that somehow helps. I feel as though she might have had unhealthy associations around her and this could have triggered the situation for her disappearance. As this Judgement card is next to the sun I have to surmise that she is near or with family but the card is often linked to the EAST which is the direction that would come up in the first card and its connecting cards. So right now I would say somewhere that is linked to either East direction or name of road or where there is family connections. I also see a WALL either real or name and flowers maybe name or figurative. There is something to do with a red banner or even piece of cloth or just RED. But I give it anyway. Tarot seems to indicate number 5 or possible 5 months being a sword card as a time period for when this child could be found. It is not always accurate but thats what I will suggest. Note the water in the card so Water might be in the name of the place where she is. Looks to me like three people who seem to have an invested interest in this girl and fight each other for her? possible. I am getting the word EAST again and this is likely to figure somehow. I also think that there is a lot of deceit again in this case and that all information has not been revealed. Very silly of course because you know what they say? truth comes out in the wash. Always best to be truthful in my book. Anyway, I see something about being imprisoned or being stuck not being able to see though not sure again how that figures. I think the Police are going to get involved in this heavily and there will be serious problems about this case and some arrests. Frankly you cant lie because you get found out and thats whats going to happen here. There seems to be a divorce for somebody there also seems to be someone who might pass over and then another follows I dont know what that means or who it refers to. I think that Airports/Hills/Railways/Travel come up here and the East. I think this case will resolve and I do think the Police are going to resolve it. People have to understand that the police take their time but they are not stupid. They have to look at all the facts and they dont give the game away so be sure that they know what they are doing. I will come back here at the end of January if this child is not found and look at this reading again. Meanwhile it is a completely brief outline and I am not aware of any of the details as yet, but will go and look to see what its all about. I will also look at the map. I see it is WaterVILLE so somewhere EAST or name East. I think Waterville is right because of the water in the cards. I also see the bedroom and possibly grandparent somewhere in the picture or background. It is also a consideration that the child could have been hurt, hurt its head or back. I might be wrong but 10 of swords can show a 'water place' and some kind of neurological problems. It has to be considered whether it turns out to be the case or not. Remember Tarot is not 100 per cent accurate in every detail. I hope Tarot is useful in some way. I feel COLD around this child. AYLA REYNOLDSI have been asked to look at providing an update for Ayla Reynolds though I always feel that first Tarot readings do touch on the most likely probablilities. As you will see from the location connections/associations below Water does seem to be the strongest link. The direction it seems is more geared North then in any other direction really going from North East to North West. Maybe this is not correct but all signs are that these are directions that seem to be more prolific. There is an attachment here to 'the mother' or commonly known as nurturer or a person who nurtures this can include grandparents or parents both male and female or whoever takes the nurturing role or has homes within the nurturing role. T.he fate of Ayla seems to be rested on her parents in some way or through them as to why things have come to the situation they have. Thats not pointing fingers but its through them and their connections this has occurred according to the cards unless of course it is just pointing out problems in the home or environments in and around home/hometown. The home is very strong in these cards also. I imagine because of the amount of water that is being shown that as Waterville is the home town that it may be where Ayla is but also could just be pointing out this place. You can see that the trends are not very pleasing suggesting that Ayla could be in Basements or a Well or in water or somewhere damp very much like the trends of the reading or she could be near somewhere like that. There is a spiritual church quality here also which could either bring us the name of a place or indeed might be referencing spiritual qualities. But, please remember time factors can show her or environments in different places at different stages. I just feel that the locational properties tend to agree with the Tarot. The principle factor is the word water and the directions so I need to just leave this here though the Directions can be in any order of appearance and may be describing place and also vicinity. Fishponds, rivers, springs, fountains, water or power supplies areas, watermills, water pumps, wells, marshy or watery ground, moats, springs, the ocean, Water inside/ around the house. Church references/ churchyards/ tombs/ monastries/retreats. Hostile environment, fear or threat, or perhaps left in the dark and confined/restricted movement. a lack of light and restricted movement. Vermin,reptiles insects. Where water collects ie muddy / swampy grounds, bogs, marshes. Ice, snow, sludge, smelly water/lakes/ ruined houses near water/sewers/drains,watery land/black mud/ underground places and anything made of clay. Cold/dark,low down or underground/damp/sinks cupboards, toildets drains in and out of properties,cellars,basements that need renovating or places that are not lived in , damp decay. Sunless North facing walls, pot holes, puddles if in garden areas. Sea shores, bathrooms, wash houses , the sea etc. Deep Wells or mines, land thats been recently dug. Perhaps movement to Hills uneven land/skyline which could include houses but looking up high roof, attic eaves, upper rooms of house. Near airports. Maine State Police confirmed Saturday blood was found in the Waterville home where Ayla Reynolds was reported missing last month. Spokesman Steve McCausland said the blood, found in the basement, was one of hundreds of pieces of potential evidence found in the Violette Avenue home during a week of searching after Ayla's father Justin DiPietro reported her missing. McCausland declined to go into specifics about any of the evidence taken from the home but did say the blood is being tested. Father took out life insurance on Ayla before she disappeared. COMMENTARY | The release of a second round of medical records concerning missing baby Ayla Reynolds' broken arm shows her father's version of events again at odds with the injury description given by the medical professionals treating the then-19-month-old. I have been asked for an update in respect of Ayla but the best thing is to try to update with a map that Tarot might be trying to show us in respect of location possibilities. Hopefully it might be helpful.Dee has compiled a map which OUTLINES all the areas that Tarot may be touching on or may be describing. I have left the link below the Icon. Please bear in mind that this is not guaranteed and Tarot can mean somewhere else entirely. 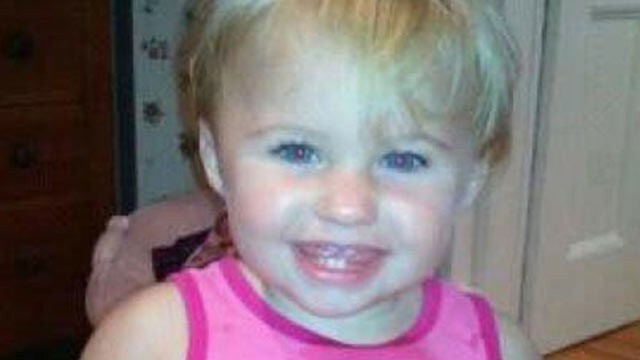 Sunday marks six months since toddler Ayla Reynolds was reported missing from her father's Waterville home. Release of more information about the Blood Police found. Today, the case of missing child Ayla Reynolds remains open despite police expressing earlier this year, without a body, that she's dead. Trista Reynolds reveals what she says is secret evidence in the disappearance of her daughter, Ayla, in December 2011. ... on Wednesday for missing toddler Ayla Reynolds failed to locate the girl, according to Maine State Police spokesman Stephen McCausland. 3 Feb 2014 - 03, 2014, at 5:15 p.m.. Last modified Feb. 03, 2014, at 6:48 p.m. ... Ayla Reynolds' father, Justin DiPietro, reported his daughter missing on Dec.
by Nell Gluckman - 25 Jan 2014 - 3, 2014 Last update: 1:16 a.m. ... Trista Reynolds, mother of missing toddler Ayla Reynolds, was among the people who participated in a ..
No current news but this is the last report I could find. Sadly this is what the last news happened to be.